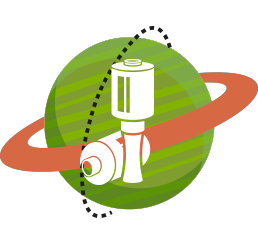 3 - 2 - 1 - Launch! Find your unique palletising solutions, discover the Palletising Universe. With allpack® it is easy like 1 - 2 - 3. Are you ready? Seat belts are fastened? Talk to us, to the company which never lets you down! Reduce waste by up to 50% and gain greater stability on your pallets, with our pre-stretched hand films that provide you with 40% residual stretch plus quick and easy application. 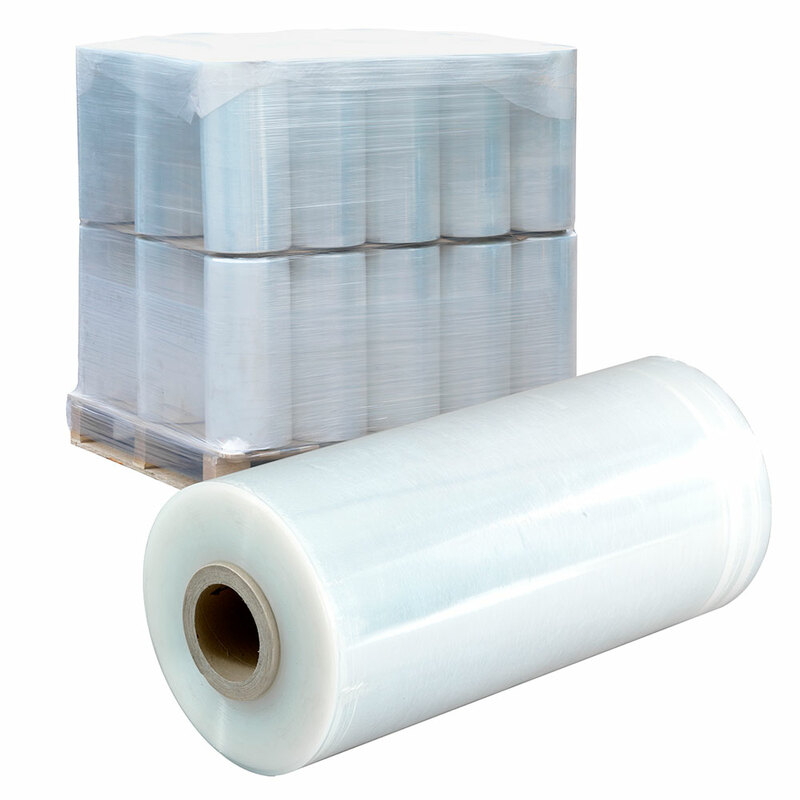 Standard, pre-stretched and power pre-stretched machine films that give you enhanced stretch, reduce waste, excellent load retention and cling, as well as improved load stability. 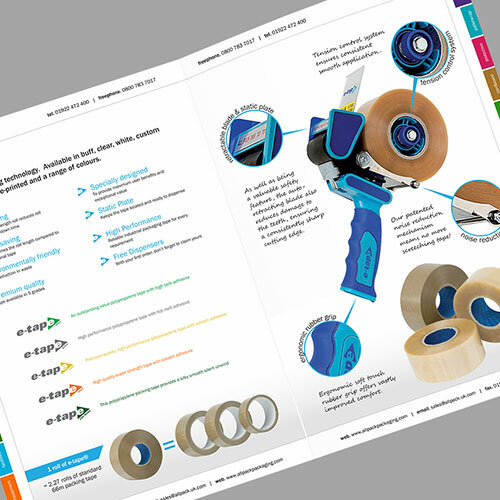 Lightweight and ergonomic, the GRIP offers quick and effortless one handed wrapping, swift roll changeover and superb self-gripping film, all without operator strain. 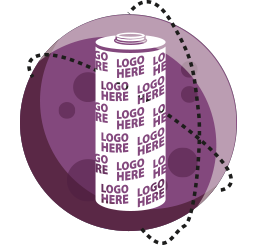 Make your pallet wrap unique with a bespoke logo guaranteed to make your loads stand out, reduce load interference and stretch your brand power further. e-stretch™ films are stretched at the point of manufacture and rolled onto the core in its stretched state. Once applied the film contracts back to its original state. The latest addition to allpack’s palletwrap family. vortex™ films are a specialist pre-stretch range specifically designed for quick and secure application to lighter loads. 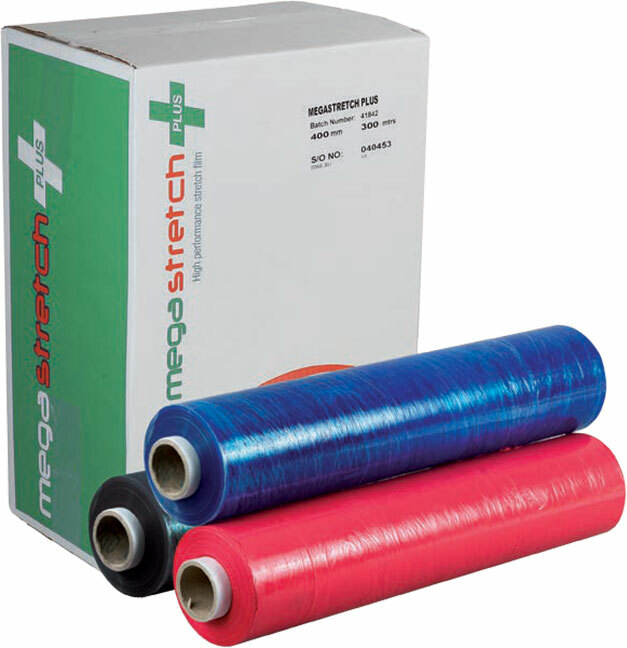 Unlike many pre-stretched films this range still has 40% residual stretch for operator ease and increased load stability. 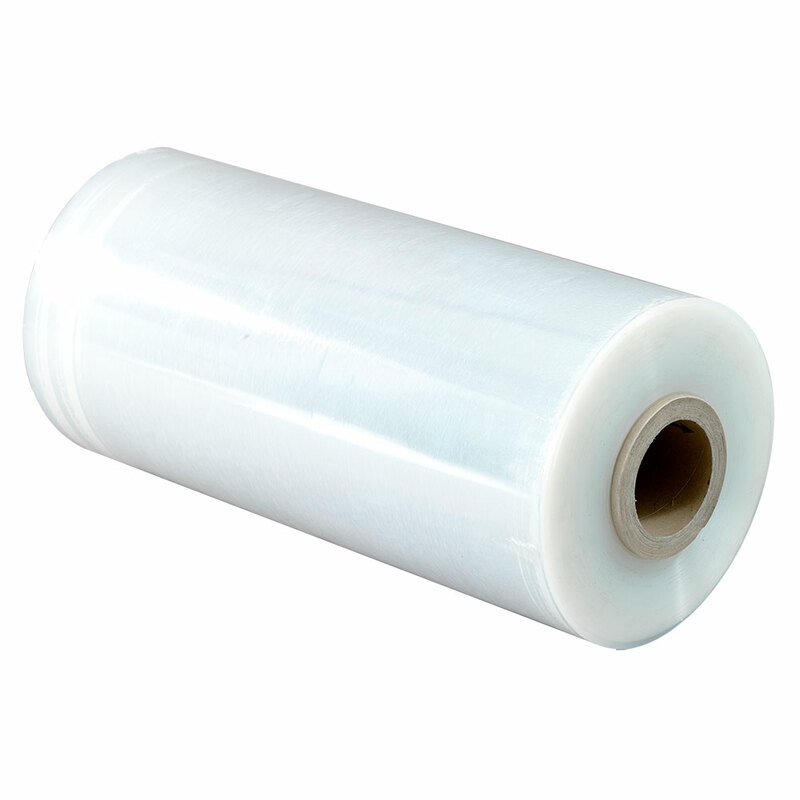 This pre-stretched film reduces wastage by up to 50% over conventional stretch films. 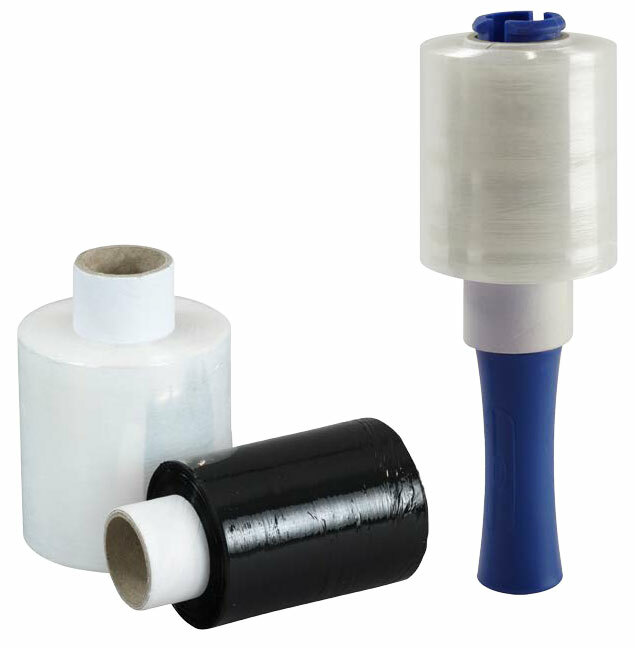 Has additives to provide excellent cling and load stability and as a result can be noisy when coming off the roll. Recommended for irregular loads or use in cold stores. For concealing pallet contents or colour coded consignments. Provides extra security for transporting high value goods or quick identification of pallet contents. Blue is commonly used in the food industry. 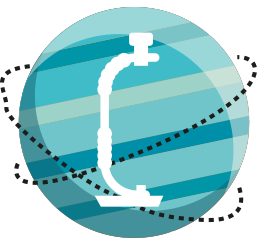 Sigmawrap™ is a revolutionary product. Raw material blend innovation combined with cutting edge extrusion technology has delivered this ultimate in economical and effective wrapping to the market! 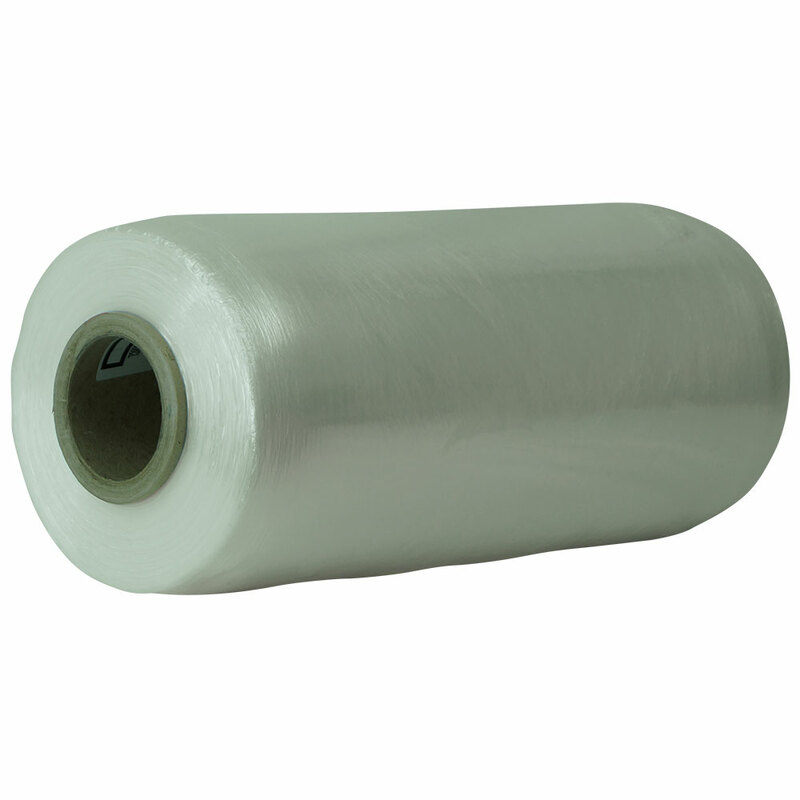 Sigmawrap™ is a uniquely formulated film made from 33 layers of high performance raw material components for maximum load stability and stretch capacity. 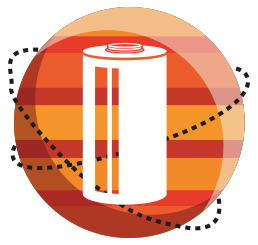 It is this formulation that gives Sigmawrap™ significant benefits over conventional five layer PPS films. Whilst reducing overall thickness in comparison to conventional films, load stability increases. With 33 layers of specially formulated films, Sigmawrap™ reaches out to untouched and unrivalled performance levels in load stabilisation & puncture resistance. Massive reduction in film waste and landfill impact. Sigmawrap will reduce film weights by up to a staggering 50%. Focusing on reduction of carbon footprint gives your company the cutting edge and proves your care and responsibility for the environment. Yes, it’s true... Increased load stability, reduction in film waste, ease of application & significant cost reduction! Proven savings compared to conventional films of up to 40%. Arrange a free consultation and trial today with one of our technical advisors. High quality cast machine film for use with core brake stretch systems. Extremely strong, versatile and designed for high performance applications seeking higher tensile strengths, excellent puncture resistance, good cling, slip and load retention. Compatible with the Orbitwrap Classic machine. 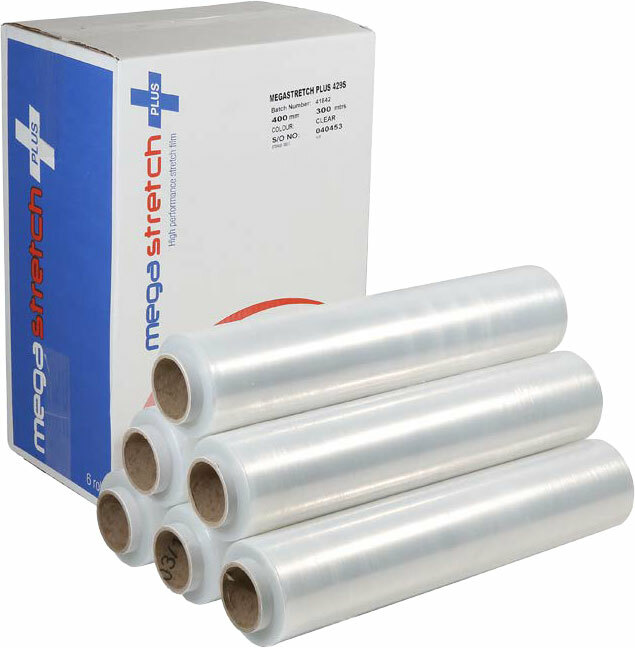 High quality power pre-stretch film provides excellent pallet stabilisation, for use with machines with dual roller power pre-stretch systems. Compatible with the Orbitwrap power pre-stretched machine. Manual film tension control with quick tension release for loading, suitable for use with all film types. 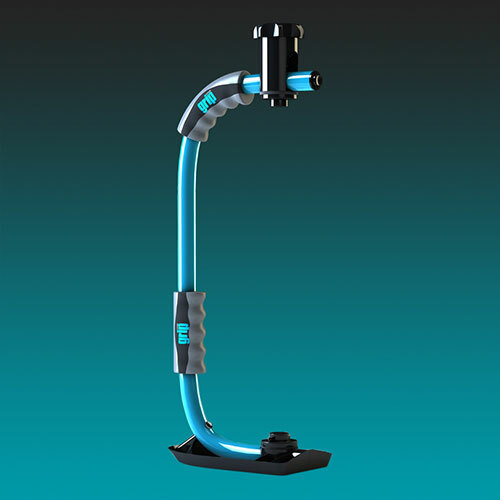 Power Pre-stretch tension regulated from the control panel with auto film feed control for loading, suitable for use with power stretch films only for higher yield.